Signs and tags can help keep you organized and safe on the job and at home. Our etched signs are produced by acid-etching graphic images into metal plates. Etching preserves the fine details of images and small lettering. Graphics can be raised or recessed and filled with any color of your choice. Contact Customer Service for more information or with any questions about our products. 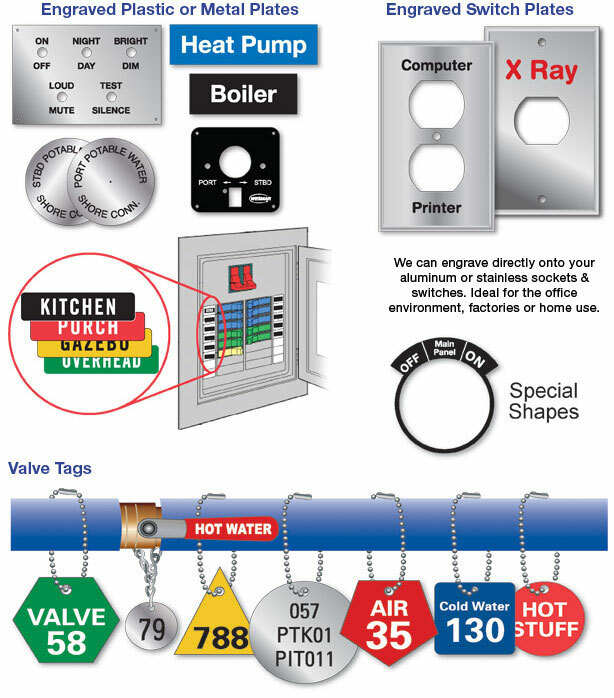 Valve tags are an easy way to identify pipes and valves at home or at work. We produce a variety of different tags in an assortment of materials, styles and shapes for easy identification.